“Provide value on ‘System.Windows.Markup.StaticresourceHolder’ threw an exception. but i’ve even copied and pasted the names and all looks ok.
Have you come across this before when you were working on this solution? 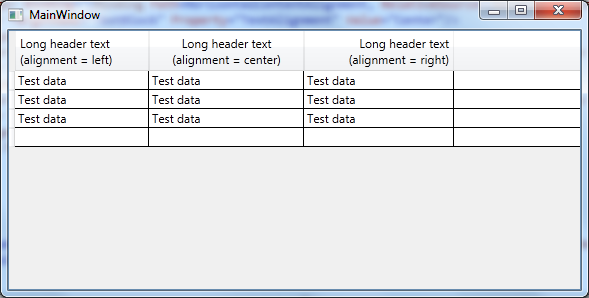 Have you defined the WrappedColumnHeaderStyle style before using it in another style? 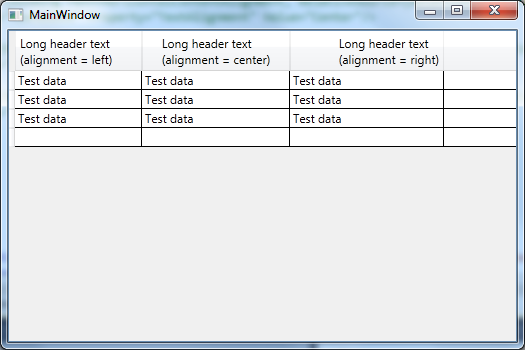 The order in the XAML file is important because it is a static resource. Thanks for such a quick response, wasn’t expecting you to get back so quickly. Yes, thats the exact order I have it specified. and none of those contain anything similar so it’s not a case of being defined twice and not knowing which to go to. You can send me an email with the source code so I can look what the problem is. Where do I find your email address? I’m not registered on LinkedIn.